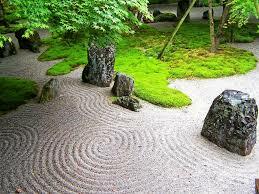 The beauty of zen sand gardens is inherent for a fundamental reason: zen gardens exist, so we can exist in them. There is no other purpose than to place ourselves back in ourselves. No one tries to get through the process to the other side. There is no other side – only ourselves and the sand. Since there’s no “Right” way to rake the sand – no great sand artists to emulate, we can create in the most original and honest way possible. Because we’re truly present in the process, beauty emerges naturally as the chaos of the sand gives way to the serenity of our peaceful, purposeful, interactions with it. It’s a deeply satisfying metaphor for our lives and our work. Shoddy things happen when we try to get through them, as if they’re not worthy of our attention, or our time. Cutting the onions, painting the fence, raking the lawn; all great opportunities for art – great opportunities to exist in ourselves and to create something beautiful. If only we could stop ourselves from thinking they’re obstacles, that there’s really something else we’d rather be doing. I don’t think it’s any surprise then that those doing the best work are those having the best time – that truly love their craft, and thus exist in every moment of it. Never rushing any one part of their job in favor of another, they know it’s all connected and it all comes with the package. There are parts more exciting, sure. 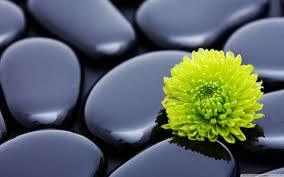 But even the small parts are paid attention to, the true beauty in them is found. The goal isn’t to “get through the day” but to greet the day with a smile, and gratitude in their hearts for the opportunity to do something that so compliments their nature. These are the rare people, but they can be any of us, at any time. ← Own Your Mistakes – A feel good story about a true above and beyond. So, in essence, if we practice like we play then most people will never be satisfied by life because they will be too busy trying to get through it so they can find something important to do. I’m not sure about that. I think if more people practiced like they played they’d be happier for sure. There’s a thing about getting in the “Zone” and I think it’s wonderfully applicable here: when a shooter is in the zone, he’s not worried about the post game interview, watering his plants, or doing his taxes. He only cares about one thing and he lives in that moment: him, the ball and the hoop. I think happiness in life comes from existing in those moments, the large and the small. Being present, not letting the deluge of the rest of our lives rush in.